I lead group singing in a variety of settings: public events, neighborhood gatherings, church services, schools, and social change groups. In 2009, I co-founded the group Minnesota Community Sings. 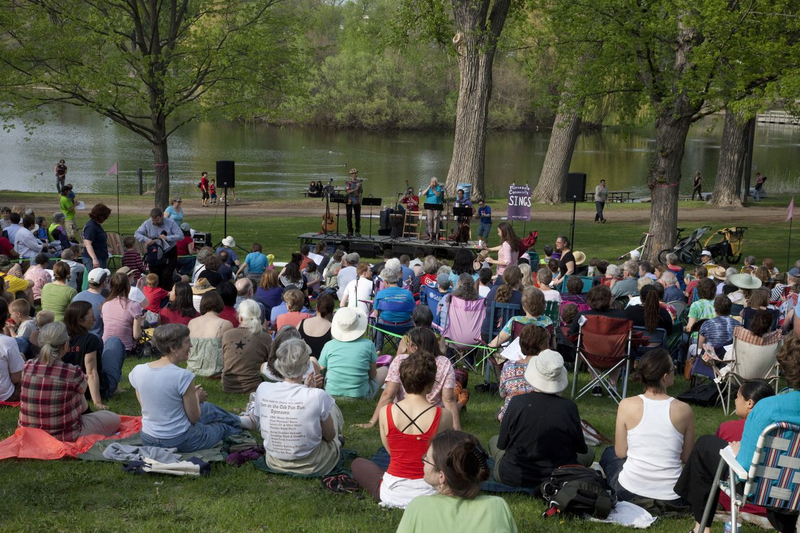 Along with fellow songleader Mary Preus, fellow organizer Betty Tisel, and lots of volunteers, we’re working to build the culture of community public singing in Minnesota. Basically that simply means ordinary people joining their friends and neighbors by gathering in public to sing. Singing in halls, singing in big tents, singing in parks. All of us together having fun, building connections, learning each other’s songs. Community singing is ancient. It’s worldwide. 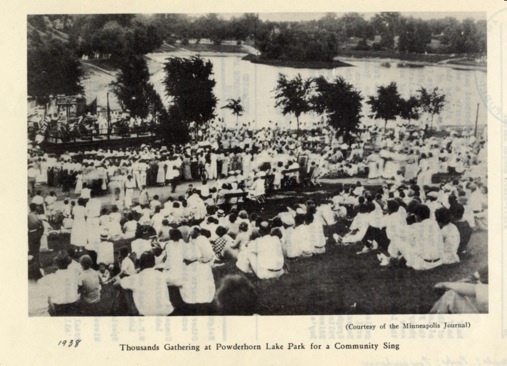 And it’s a hundred year old tradition in Minneapolis, where each summer between 1919 and 1956, thousands of people gathered on a nightly basis in the parks to compete for the annual prize of the best singing park. Find out more, including how to schedule a community sing, at our Minnesota Community Sings website.